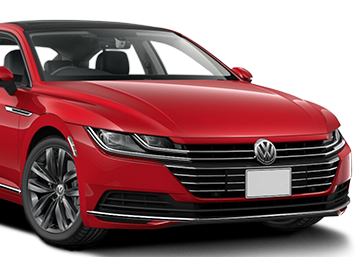 BROADSPEED - THE BEST NEW CAR DEALS! ABOUT OUR PRICES. The PCP & PCH illustrations shown above include VAT and are based on: a) 2 Year Agreement, b) Initial payment of £2,500 and c) Annual mileage of 5,000-8,000 (Written Quotation available upon request). Just call us on (0207) 175 0555 for a quote. PCP and PCH are subject to Credit Status Approval and Acceptance (T&Cs apply). FIRM PRICES? 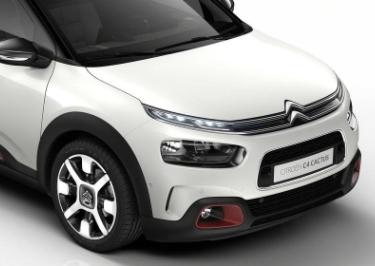 We only show car deals which we believe are achievable - and always confirm offers are available before you can proceed with an order at a firm price. Our online car discounts are illustrations based on dealer quotes (and actual recent customer orders). ONLINE CAR BROKER. Keep in mind we're an independent "Middle Man" - Not a Car Dealer - so we don't control prices or new car discounts ourselves. Before you proceed, our dealer confirms the whole deal in writing - and we send you a 'jargon-free' offer. LOWEST CAR PRICES. Broadspeed has years of experience and thousands of contacts (we've been putting car buyers and sellers together since 1994). 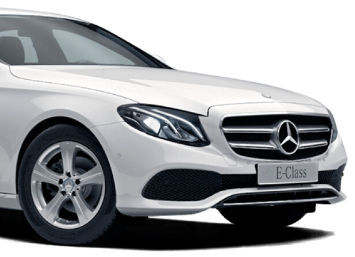 We have more than 500,000 registered UK Car Buyers and work with more than 500 UK Car Dealers. HOW DOES IT WORK? You buy direct from a UK Main Dealer (not from us). We haggle the best car discount in advance - it's pre-negotiated. Simply start with a free and informal online quote (Select Your Make above). NOT A CAR DEALER! We're not trying to sell you an in-house brand or to maximise a profit margin! We're an online discount car broker. Once we've quoted you decide to buy a car from our dealer, you'll order from and pay an Official UK Main Agent. BROADSPEED FEES. We put buyer and seller together - and if you order - we charge you £199 including VAT (only if you actually place an order). The car dealer also pays us a success fee (but their fee is included within all online car prices). GET READY TO BUY! Do your homework first! We ask that you do all your research - go to a dealer - have a test drive - and get a full PCP quote (even with no discount). If your dealer won't compete with our new car discount price, ask us to do the best new car deal for you. NO OBLIGATION. There's no hassle and no cost until you actually place an order. We'll maximise the car discount and PX value (if you have one) - which cuts your "cost to change". If you'd like the best PCP deal, just tell us your ideal monthly budget (with a high or low deposit) - we'll advise what's realistic. If you'd like to pay monthly (rather than cash, outright), there are several ways to do that. The most popular cheap car finance in recent years has been the Personal Contract Purchase ("PCP"). This is effectively a Rental or Hire agreement which enables you to decide what to do at the end of the contract ie: a) Buy It for the 'Balloon Price' or b) Hand It Back. A PCP also gives you flexibility to return it early with no penalty to pay (this is called Voluntary Termaination or 'VT'). If you have factory ordered your car with several optional extras, PCP (3 or 4 year term) is often the lowest monthly payment. However, if you are flexible on the specification and don't need a lot of options, Personal Contract Hire ("PCH") may offer lower monthly payments (sometimes, much lower). The difference with a PCH is that there is no option to buy it at the end (you MUST hand it back). PCH is effectively a long-term car rental agreement. If you are concerned about the cost of repairing any scuffs or dings at the end, ask us about insurance that covers it (costs a few pounds per month). By the way, ask us about our Special Discounts on Main Agent servicing bills (Typical Savings 25%-33%)! Diesel vs Petrol vs Hybrid - with so much uncertainty over fuel, we'd suggest you consider a Personal or Business Lease (which is effectively long term Car Hire - you hand it back at the end). 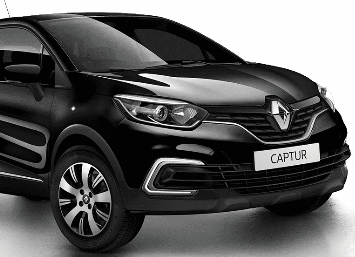 Cheap car leasing is a convenient and low-cost way to drive a brand new car - for a fixed period - knowing there's no risk of rising depreciation (if the value falls more than expected, any loss is suffered by the leasing company - not by you)! Some makes and models work better than others on Lease Hire, so try to be open minded about what you choose. 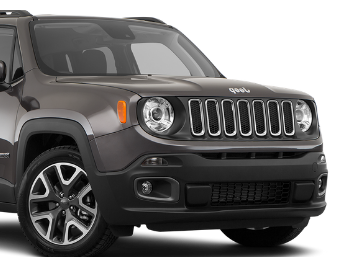 Special Leasing Offers come up almost daily - but sell out quickly when they are cheap (so phone for the latest Hot Lease Deals list). 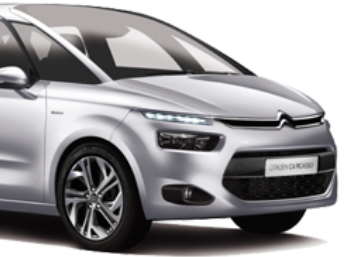 Car Leasing always includes free Road Tax (VED) for the whole period - and collection/ delivery is always included too. If you are concerned about the cost of repairing any scuffs or dings at the end, ask us about insurance that covers it (costs a few pounds per month). We have also negotiated a discount on your Main Agent service bill (typically 25%-30% off). Usually you'll only need one service in 2 years. So if you could be tempted with a crazy low monthly cost, phone us to see what we've been offered - it might just surprise you! By the way, ask us about our Special Discounts on Main Agent servicing bills (Typical Savings 25%-33%)! We act as "Middle Man" and introduce the Main Dealer to buy from. 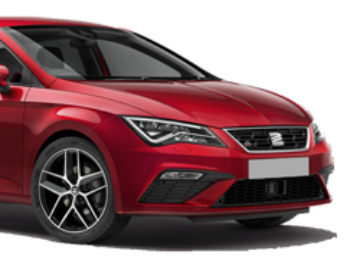 If you are buying a Popular brand (eg VW, Seat, Ford, Citroen, Vxl...) and simple spec eg: just a couple of options, there are terrific savings to be made on Main Agent Ex-Demonstrators (call for details - but £1000-£2000 off is common). 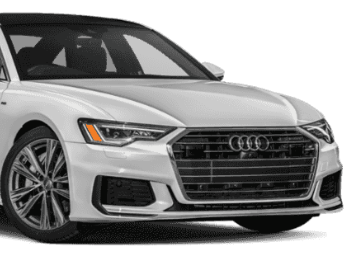 However, if you are looking for a Prestige brand (Audi, BMW, MB, LR...) or a partcular set of options, there isn't much physical stock out there and the savings are minimal. A Main Dealer Ex-Demonstrator is typically 3-6 months old and with fewer than 5,000 miles (like new). Sometimes, we can source a Demo before it's driven a mile - in which case it would be Brand New except that it's been registered by the dealer. In any event, you have the balance of the Manufacturer's Warranty included (ie: usually the balance of 3 or 5 years). ** Please be aware that a bespoke specification nearly always requires a Factory Order **. Lastly, what is the price difference between an Ex-Demo and new Car? This really depends on the model and specification you require: a recently introduced model - or one in short supply - or where a spec is desirable won't save you much at all (sometimes the new car is actually cheaper)! But if you need a car quickly, this may not be your main priority? By the way, ask us about our Special Discounts on Main Agent servicing bills (Typical Savings 25%-33%)! We act as "Middle Man" and introduce the Main Dealer to buy from. Overstocked Main Agents usually sell at cost - sometimes below cost (so you get a great deal). Whatever price we negotiate an Approved Used Car is one that's been through the Manufacturer's stringent preparation process - and typically has better warranty protection than a new car. Sometimes, we can negotiate extras too such as a free service - even within the reduced selling price. Obviously, a used car will have a shorter warranty than new (by a few months), but this can usually be extended at the point of purchase by 1 to 5 years (ask for a quote). One factor in getting a big Used Car Discount is timing - try to make your purchase near the end of the month or quarter (when managers have to "tidy up" their forecourts and control stock levels). 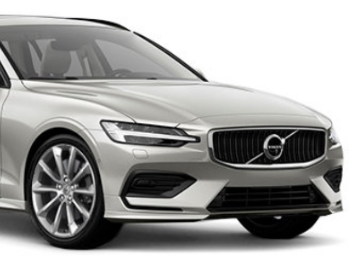 Different makes and models depreciate at different rates - so if you are looking for the best possible saving (vs the new car discount price), be flexible on the model and specification (similar models can be thousands cheaper to buy). The cheapest way to finance your Approved Used Car is usually a Personal Loan (search Google or call your bank/ card company). At the time of writing, the target rate is 3% APR. By the way, ask us about our Special Discounts on Main Agent servicing bills (Typical Savings 25%-33%)! 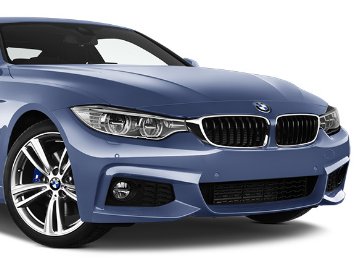 Almost every day, we receive emails from Main Dealers - with Hot Car Deals and Special Offers. These are usually models that have been slower to sell than expected or where there's been a cancelled order. 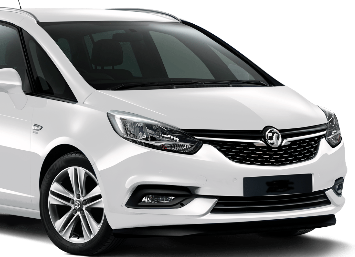 Many customers ask us for the cheapest price for their specific choice of model and optional extras - which is fine with us - we're always happy to quote for that; but here's something else you could consider asking us: "What similar models have EXTRA discount at the moment"? We always have a "Hit List" of further reduced cars - these models could be classed as "Very Cheap" or a "No Brainer" by comparison. Sometimes it's a lease or PCP deal, other times it's an all cash (or loan) purchase - but we often shock customers who have no idea that such "last minute" reductions such as this are possible. For the latest Hit List, just SMS "callme" to (07956) 200000 or Call (0207) 175 0924 (dealers usually forbid us sending a Hit List by email, so calling us is best). By the way, ask us about our Special Discounts on Main Agent servicing bills (Typical Savings 25%-33%)! A Personal Loan is provided to salaried or sometimes self-employed and retired individuals for personal use (such as buying a new car), often on an unsecured basis. Repayments are fixed monthly installments, which you can calculate online (search for "Personal Loan Calculator"). No mortgage of assets or guarantee is required for personal loan - you qualify or you don't. Online personal loans are offered by many sources, there's minimal paperwork and verification time required - so a personal loan is quick and simple to arrange (once approved, you receive the funds usually within a few days). One BIG advantage is that buying with a Personal Loan means you own your car outright from day one - no one can take it away. Another advantage is that you can change the car when YOU choose - not when the lender stipulates. A third benefit is that you can end (repay) the loan anytime YOU choose - there are no penaties or extra interest to pay. Many people take out a five year loan as this keeps the payments down (eg: £12000 over 5 years costs £200 per month plus 3.9% APR). Lastly, when you come to change your car (assuming you've completed the repayments), any cash you sell it for is YOUR MONEY (there's no final balloon payment to find). Ask us about our Special Discounts on Main Agent servicing bills (Typical Savings 25%-33%)! Mr Chandler - Mercedes GLC - "Dear Simon, this is the fourth car you've sourced for my family over sixteen years. spread the word. I have no doubt that my son will be in touch with you before long!" Mr Duncan McCrone - Volvo XC60 - "Thanks, Peter, I was really grateful for the helpful and honest advice you gave me. You managed to beat the best quote I could find, but unfortunately not by enough to make it worthwhile for me to bypass my local dealer and travel several hundred miles as I live in the north of Scotland. Although you understood that I wouldn�t be ordering from you, you spent time advising me and helping me choose between PCP and PCH and more besides. I would recommend Broadspeed to anyone, based on my experience in dealing with you! Many thanks." Mr AC, Sussex - Toyota CHR Hybrid - "Broadspeed has delivered outstanding service for my last two cars. The lastest is a Toyota CHR Hybrid, for which I paid £3,398 less than the dealers I tried (who wouldn't give a penny off). It was delivered by a polite individual who took the time to run me through the controls. It was exactly what I ordered and came complete with floor mats and more than half a tank of fuel. Overall, I am baffled as to what advantage main agents think they offer in the supply of new cars. Well done Broadspeed and see you in five years!" Mr Bowie - Skoda Yeti - "Simon, My Skoda Yeti has been delivered - I'm very satisfied, impressed with your service and happy to give you a testimonial. It's been a great service and exactly as you said it would be. Many thanks. Steve"
Mr Sharpe - BMW X3 - "Dear Peter, We took delivery of our new BMW X3 ten days ago and I have just completed the "Customer Satisfaction" survey from BMW. I feel it is therefore only appropriate that I should express my appreciation of your role in the early stages of the purchase and the ease with which the Broadspeed system worked. Parting with £45,000 online is a brave move, but the price you quoted was the price I paid, which is a tribute to the honesty and transparency of the Broadspeed service. If we are still in the new car market in 3 years' time, I shall know where to come. If there is any public forum in which I can express my satisfaction with Broadspeed, then do please give me the link. With thanks and kind regards". Mrs Butterworth - Ford Focus 1.0 125PS Titanium. "Dear Peter, My son suggested I try Broadspeed to find a cheaper dealer than the one in my town. Not only did I pay almost £5000 less with the Broadspeed dealer, they beat the trade in offer by £250 as well. I would recommended Broadspeed to colleagues, friends and family". Mr Fraser - Mercedes Benz GL-Class and VW Golf. "Dear Simon, I have bought 3 cars in 3 years through the Broadspeed website and I am absolutely delighted with the swift service and over all deals I have got on my cars. 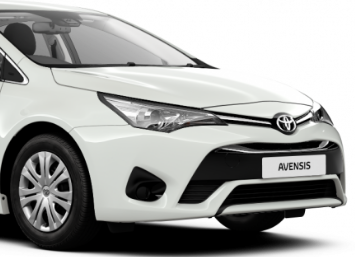 Thank you"
Mrs Chandler - Toyota Auris Hybrid T-Spirit - "Dear Richard, Not only did I get excellent service from their Toyota dealership, I saved more than £4,300 using Broadspeed. When I compare the online method of buying a car with the poor experience at my local dealership, I wouldn't hesitate to use Broadspeed again". Mr Runza - Mercedes E-Class Cabriolet. "Dear Simon, From start to finish nothing less than absolutely professional, helpful and enthusiastic. A pleasure to deal with and not least saved me lots of money!" Mr F. - Audi A6 Allroad. "Dear Steve, It was a very good service. It was the first time I've bought a car over the internet and it was so easy. Obviously the thing I liked best was the price!" Mr Williamson - BMW 1-Series. "Dear Simon, I was really happy with Broadspeed. It is a very efficient service, I feel I got a very good deal and would definately use you again"
Mr Kelly - Audi R8 Spyder. "Its a great option for finding the right car at the right price. 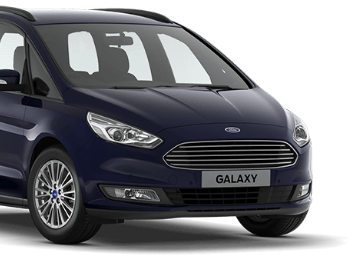 The price was extremely competitive, it was a 5 star experience, I recommend you to all my family and friends"
Mr Bates - Ford S Max 2.0 TDCi Titanium Powershift. "Dear Simon, I bought my last S Max through Broadspeed in 2009 and got a good deal. My new S Max (well, it's 10 months old) has just been delivered, again via Broadspeed, and this was was £9k cheaper than new. Fantastic price and service!" You pay the Dealer, direct. Some dealers insist we obtain a card number and permission to charge an agreed deposit to initiate an order process (this is typically �500-�1000). A payment or card number demonstrates your readiness to proceed (dealers only really fully discount when they are confident of an order). In this instance, we always say who will charge you, how much and when - in advance - then wait for your agreement before completing the process. You pay us NOTHING unless you proceed with an order with a dealer we introduce. 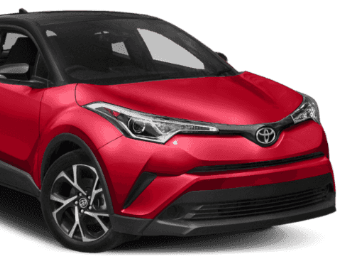 Once you tell us to proceed with the dealer introduction process, we confirm the exact price in writing then introduce you to the cheapest dealership in your county or region. Once you proceed with the dealer introduction (ie: pay a deposit, thus placing an order), we take payment of our fee - £199 payable by card or transfer. You only pay �199 once your order has been placed and confirmed. If your order is subsequently cancelled (or does not complete), we introduce additional supplier/s at no extra cost - or if no similarly competitive supplier is found, we refund whatever you paid to us, in full. 23.6 Nothing in these terms and conditions excludes or restricts Broadspeed Limited's liability for death or personal injury resulting from any negligence or fraud on the part of Broadspeed Limited. 23.7 Whilst every effort has been made to ensure that these terms and conditions adhere strictly with the relevant provisions of the Unfair Contract Terms Act 1977, in the event that any of these terms are found to be unlawful, invalid or otherwise unenforceable, that term is to be deemed severed from these terms and conditions and shall not affect the validity and enforceability of the remaining terms and conditions. This term shall apply only within jurisdictions where a particular term is illegal.